This printed nylon Gadsden flag comes with brass grommets. Flag is 100% made in the U.S.A. The Gadsden flag is a historical American flag with a yellow field depicting a rattlesnake coiled and ready to strike. Positioned below the rattlesnake are the words “Don’t tread on me”. The flag is named after American general and statesman Christopher Gadsden, who designed it in 1775 during the American revolution. It was also used by the Continental Marines as an early motto flag, along with the Moultrie Flag. When American colonies came to identify more with their own community and liberty than as vassals of the British empire, icons that were unique to the Americas became increasingly popular. The rattlesnake, like the bald eagle and American Indian, came to symbolize American ideals and society. In fall 1775, the United States Navy was established by Commander in Chief of all Continental Forces, General George Washington, before Esek Hopkins was named Commodore of the Navy, with seven ships, often called “Washington Cruisers”, that flew the simple triangle shaped green tree with a trunk, the “Liberty Tree Flag” with the motto “Appeal to Heaven” according to the October 20, 1775 letter of Washington’s aide Colonel Joseph Reed, that is in the Library of Congress. The illustration on this page shows four flags, the one in the upper left is a common artist’s rendition, but is incorrect at least as far as the motto, which is “Appeal to Heaven”, not “AN APPEAL TO HEAVEN” according to the letter from Washington’s aide, and Caslon was the common font of the day, used on both the Declaration and the Constitution, not the sans serif typeface shown on the flag image. Further for survivability in the high winds at sea, a simple triangle shape evergreen liberty tree is far more likely than an intricate many branch liberty tree. Those first ships were used to intercept incoming British ships carrying war supplies to the British troops in the colonies to both deprive the supplies to the British and to supply to the Continental Army. One ship captured by Captain John Manley had 30,000 pairs of shoes on it, but the admiralty agent demanded his 2 1/2 per cent commission before he would release the cargo for Washington’s army, so many soldiers marched barefoot in the snow. To aid in this, the Second Continental Congress authorized the mustering of five companies of Marines to accompany the Navy on their first mission. 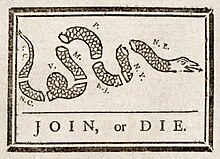 The first Marines enlisted in the city ofPhiladelphia, and they carried drums painted yellow, depicting a coiled rattlesnake with thirteen rattles, and the motto “Don’t Tread on Me.” This is the first recorded mention of the future Gadsden flag’s symbolism.